SoftBank is putting an astonishing $4.4 bln into WeWork, a purveyor of hip shared office spaces. Growth means Masayoshi Son’s outfit may fare better than Japanese firms that once splurged on Impressionist paintings and Rockefeller Center. But those assets weren’t easy to copy. 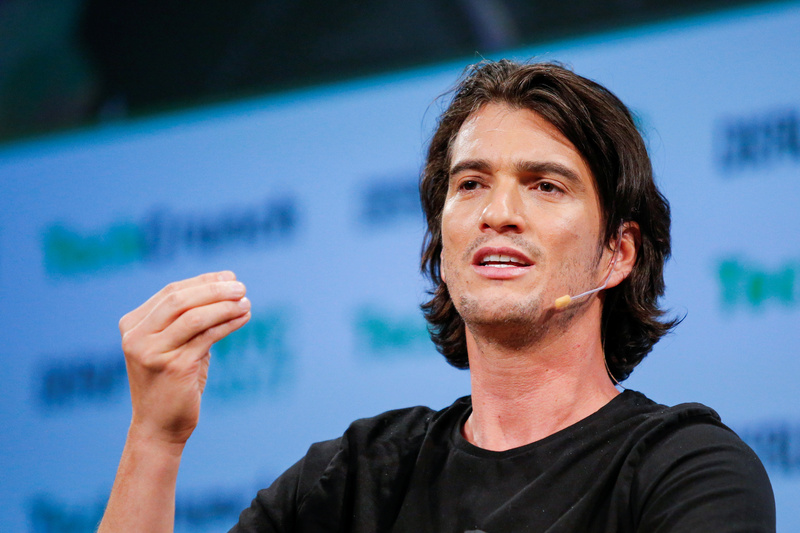 Adam Neumann, CEO of WeWork, speaks to guests during the TechCrunch Disrupt event in Manhattan, in New York City, NY, U.S. May 15, 2017. On Aug. 24, WeWork announced a $4.4 billion investment from SoftBank Group and SoftBank Vision Fund. SoftBank and its investment fund will buy $3 billion worth of new and existing shares. An additional $1.4 billion will be invested in three new companies controlled and managed by WeWork management teams in China, Japan, and South Korea and Southeast Asia. Parts of this investment were previously disclosed or reported earlier this year. In connection with the transactions, two new directors will be appointed to WeWork’s board of directors: Ronald Fisher, SoftBank’s vice chairman, and Mark Schwartz, an external director of the Japanese company and former vice chairman of Goldman Sachs.